Have you been trying to think of a way to conquer your local comic convention through cosplay? Do you gaze with envious eyes upon the fan-made suits of armored awesomeness strolling around every year on Halloween? Do you have a spot on your wall, bookshelf, or desk that desperately needs to be filled with a screen-accurate replica of your favorite science-fiction or fantasy weapon? If so, look no further. We’ve got just the book for you! Use Pepakura Designer software to make printable models with a regular office printer. Use plastic, fiberboard, and pipe to create amazing effects. Turn anti-fatigue floor mats into realistic armor. Decide which home digital fabrication tool—a CNC mill or a 3D printer—is best, or even needed, for your job. Master mold-making basics and sophisticated rotocasting techniques. Use easy home vacuforming methods. 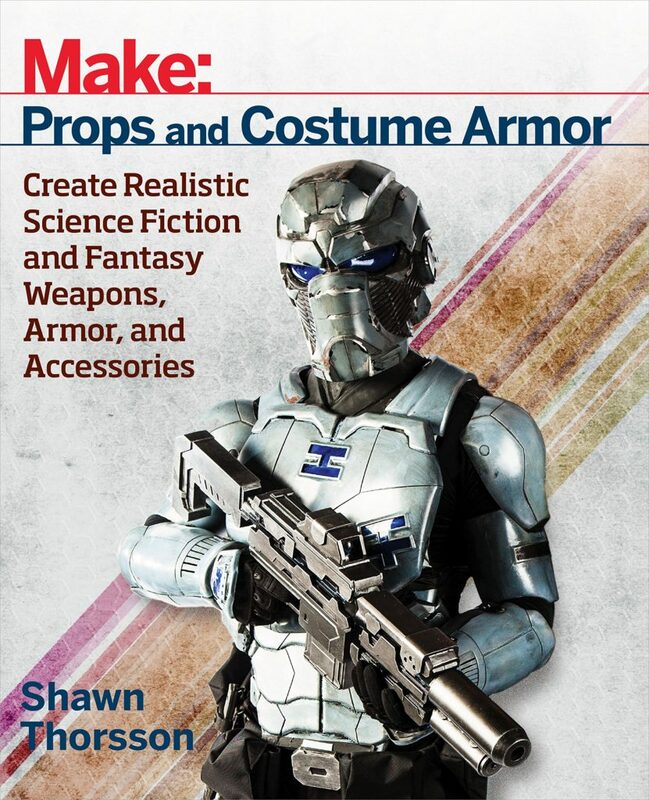 Also stay tuned for the upcoming sequel, MAKE: More Props and Costume Armor coming soon!